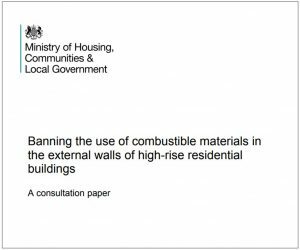 The Ministry of Housing, Communities and Local Government recently published a consultation document on their proposal to ban the use of combustible materials in the external walls of high-rise residential buildings in England. If implemented in its current form, the proposed change would prevent solid timber structural systems, such as cross laminated timber (CLT), from being used in the external walls of residential buildings over 18 m high. The consultation responds to the Grenfell Tower disaster and the subsequent review of building regulations and fire safety by Dame Judeth Hackitt. The Hackitt review calls for a new regulatory framework for high-rise buildings that is stronger, more coherent and easier to use. If her recommendations were implemented they would inevitably involve some reduction in the design and material options that currently exist. Crucially, however, Dame Hackitt does not call of an outright ban on combustible materials in the external walls of high-rise residential buildings. This is because ensuring the fire safety of such buildings is a complex process that goes far beyond simple prescriptive measures such as excluding specific materials. Moreover, the Hackitt review recommends that the regulatory framework only needs to be changed for residential buildings of 30 m high or more. This finding is, based upon an analysis of recent fire statistics in England: “the likelihood of fire is greater in purpose-built blocks of flats of 10 storeys or more than in those with fewer storeys and, particularly after the fire at Grenfell Tower, the rate of fatalities is also greater in such buildings”. 2) Paragraph 20 states that the external wall of high rise residential buildings is usually separate from the framed structure (i.e. it assumes that curtain walling is used). While this is usually correct, it ignores those high-rise buildings formed of solid timber structural solutions such as cross laminated timber. 3) The most problematic proposal is in paragraph 23 which states that ‘…for a ban [on combustible materials] to be effective it should cover more than just the surface of a wall and any insulation materials and instead cover the entire wall construction from the internal face of the wall through to its external face.’ Banning combustible cladding and insulation on high-rise buildings is reasonable. But, if this proposal is implemented in its current form, solid timber structural systems would also be excluded from the external walls of high-rise residential buildings. The ban would apply to the whole wall height and not just the upper part. 4) If implemented, these proposed changes would have a huge detrimental impact on solid timber structural solutions. Interviewed in today’s Building Design magazine, architect Anthony Thistleton pointed out that the proposed ban could destroy the market for CLT in the UK. This is because buildings over five storeys high are currently the main opportunity for CLT construction as it is cheaper to use other structural solutions on buildings below that height. The Grenfell Tower fire disaster should not have happened and the regulatory framework in England urgently needs to change as a result. But in seeking to prevent a similar tragedy in the future we need to avoid simplistic political responses. The consultation proposals as they stand appear disproportionate and are not supported by the evidence. 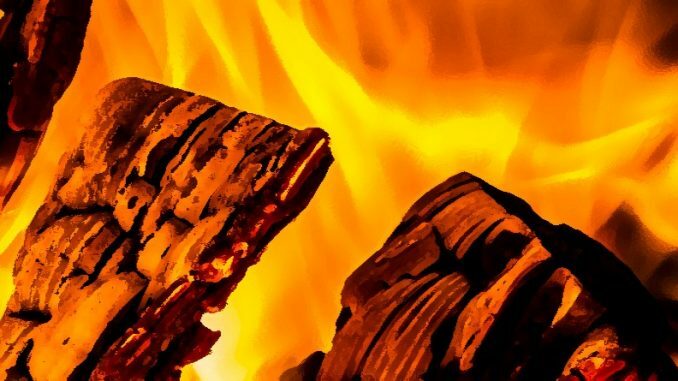 There are established methods of ensuring that high-rise timber structures are fire safe (see BS 9999 for example). The challenge comes in ensuring that these measures are regularly updated and used as appropriate. 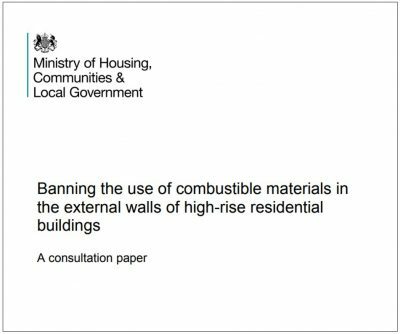 The regulatory reforms recommended in the Hackitt review give us a more comprehensive way of achieving this than an outright ban of all combustible materials. The consultation closes on 14th August 2018 and it is important that the views of the timber industry are adequately represented. Please respond. This video about research in Estonia nicely illustrates that fire performance is as much about the design and detailing as it is about the basic materials.